We can’t believe it! The holiday season is already here. Family will be coming into town and guess what? You’re the chauffeur. Now, being the chauffeur doesn’t have to be a bad thing, as long as you and your car are prepped and ready for the job. Make sure that all four (five if you have a spare) tires are in top condition to be driving your loved ones around. Colorado weather can be very bipolar and although one day’s morning may start beautiful, by nightfall you may have snowfall on the ground. Verify that all tires, including your spare, have the correct tire pressure for your vehicle make and model. Also, now is the time to switch to your winter tires if you haven’t already. Keep your family safe while you’re cruisin around town. We get it. Your car is your place. Now that the family is coming to town, it’s time to tidy up both the inside and outside of your car. Cleaning your car preps you for the inevitable game of luggage tetris that is sure to come when picking up your loved ones from the airport. Plus, who doesn’t love a clean smelling car for long winter drives? Remember, first impressions are everything. 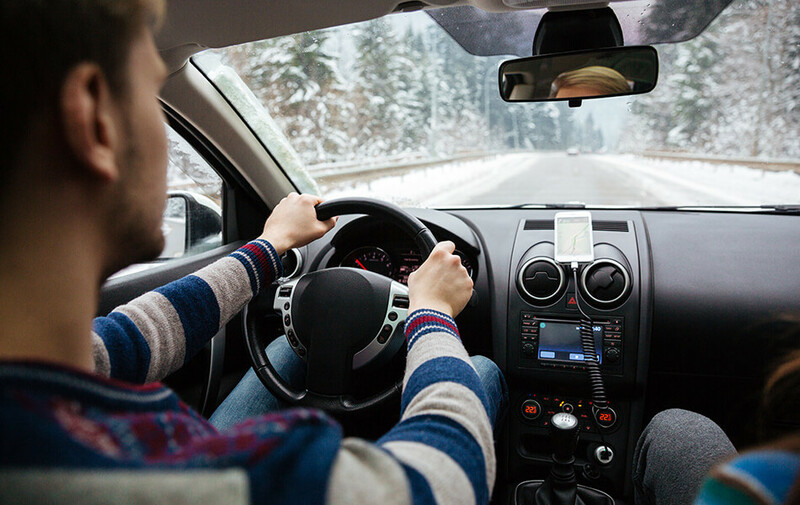 Nothing is more important than your vision while on the road, that’s why we suggest making sure your car windows are clear of cracks, chips and slush prior to becoming the holiday chauffeur. We make this easy, with a free instant quote when you visit our website. Plus, we will drive to you so you can keep prepping the home for your guests. While you’re at it, don’t forget to check those wiper blades. This means check your oil levels and verifying that your windshield fluid is winter ready. You don’t want the fluid instantly freezing while showing your loved ones the beauty that Colorado has to offer. We suggest taking your car into a professional who can verify that your fluids are winter ready. Save yourself the embarrassment of a car that won’t start. With a new battery, those cold mornings will have nothing on you starting up your vehicle. Places like O’Reilly’s will check your battery for free – so why not bring it in on your way home tomorrow? The holidays are a magical season, as long as you and your car are prepped and ready for the occasion. Make sure that your family is safe this year and as always, from all of us at Quick-Set Auto Glass, drive safely out there!